Assemble at T2 terminal to depart and board your flight for Brisbane via Singapore. Welcome to Australia – the Land of Kangaroos!!! On arrival in Brisbane, after clearing customs and immigrations formalities we shall proceed to board the Coach for Goldcoast which is an One Hour Drive (80kms) apprx. On arrival proceed to check in Hotel Novotel Surfers Paradise / Mantra Legends or similar (Standard Check in time at Hotel is 14:00 Hrs, However early check in depending on the Hotel Availability and number of rooms). Later we return back to Surfer’s Paradise – the best area to relax and rewind. You may also enjoy Optional Sky Diving / Jet Boat Ride on this day. Later we return back to Surfer’s Paradise – enjoy shopping or a walk by the beach. Enjoy an American breakfast at the hotel this morning and then proceed to Dream World in the famous Gold Coast Fire Truck – Fire 4 Hire with real fire fighters. Enjoy this 1 hour experience. Upon arrival with so many worlds in one location, Dream World isAustralia’s favourite Theme Park. The park is made up of several themed lands, Gold Rush Country, Rocky Hollow, Tiger Island and the Dreamworld Corroboree. These lands have a collection of rides, animal exhibits, shows, food outlets and merchandise shops, enjoy the excitement and thrill of catching a wave on Australia’s first and only Flow Rider. It features 4 of the Big 9 Thrill Rides – The Claw, Tower of Terror and the Giant Drop, Wipe-out and Cyclone are within close proximity of each other. Lunch shall be served outside the theme park cooked by our chef. Later we return back to Surfer’s Paradise – enjoy optional activities offered here. Later Enjoy Indian dinner in an Indian restaurant and spend overnight at the hotel. After an American breakfast we proceed for Brisbane Airport to board our flight for Cairns. Upon arrival, as we board the coach, transfer to the Scenic Sky Rail for Kuranda, It is surrounded by tropical rainforest and adjacent to the Wet Tropics World Heritage listed Barron Gorge National Park.On the way we make a stop to see Carvonica Lakes. After having light breakfast, we proceed for Big Cat Green Island Cruise’s (High Speed Catamaran to Reef). Big Cat Green Island Reef Cruises offers you the choice of a full Day or half Day cruise so you can snorkel, dive and swim in the clear island waters, view the spectacular reef on a coral viewing tour, explore Green Island National Park or just relax on the sandy beach. Helicopter Scenic Flight are optional. Semi submarine and glass bottom boat rides are included. Buffet Lunch will be served on board prepared by our own chef. Later in evening we return back to Cairns. Enjoy rest of the day for leisure. On arrival, we proceed for the city tour which includes Mrs. Macquarie’s Chair (scenic point within the Sydney Domains), An Inside tour of Opera House (Guided), Circular Quay and the Rocks Area along with the beautiful Bondi Beach. Proceed to check in Hotel Novotel Sydney Central / Mercure Sydney / Sydney Boulevard or similar. Enjoy Picnic Lunch. Rest of the Day is free for shopping or explore the Darling Harbour area. After having breakfast we proceed for airport to board flight for Melbourne. On arrival proceed for a Bird’s Eye view from the Eureka Towers Observation Deck. Later continue with the City Tour which includes, Flinders Street Station, Captain Cooks Cottage and other remarkable places of Melbourne and its sporting arena’s. Overnight at Hotel Pegasus Apart Hotel or Similar. Enjoy Indian dinner in an Indian restaurant. After having breakfast, we proceed to visit the most famous and scenic, beautiful drive of Australia called the Great Ocean Road. The latter being notable for its natural limestone and sandstone rock formations including Loch Ard Gorge and The Twelve Apostles. Picnic lunch shall be served on this day. You may also enjoy Optional Helicopter Ride on this day. After having breakfast we proceed for airport to board flight for Auckland, New Zealand. Proceed to board your luxurious coach for Lunch in an Indian restaurant. Post Lunch check into Hotel Grand Millennium or similar for check in (Standard Check in time at Hotel is 14:00 Hrs, However early check in depending on the Hotel Availability and number of rooms). Visit Sky Tower which is the biggest Tower in Southern Hemisphere standing tall at 328 mtrs. Proceed to the observation Deck to get the full city view of Auckland. Enjoy Indian dinner in restaurant and spend overnight at the hotel. After breakfast at hotel, proceed for a short city tour of Auckland which includes Mission Bay, Tamaki Drive and Winter Gardens etc. After Picnic lunch we proceed to Bay of Island (Paihia). Bay of Island includes 144 Islands and it’s the most southern Tip City in North New Zealand. Upon arrival, we check in the Hotel Copthorne Paihia or similar. Rest of the day is free. Enjoy Indian dinner cooked by chef and spend overnight at the hotel. After breakfast at hotel, proceed for Cruise Check in at Ferry Terminal at 08:30 Hrs to board our Hole in the Rock Cruise. During the cruise you will get a chance to see Dolphins. Picnic Lunch / Lunch at Hotel. Rest of the day is free for leisure. You can enjoy optional Sky Diving, Parasailing or even a Sea Place / helicopter ride. After breakfast at hotel continue towards Rotorua. En-route enjoy Picnic Lunch. Upon arrival we shall proceed to check into the Hotel Novotel Lakeside / Millennium Rotorua or similar. Rest of the evening is free for leisure. Agro dome Sheep Show where you can see 19 different types of sheep and enjoy this interactive show that will tickle your bone. Visit for optional activities to Agro ventures – such as the Bungee Swing, Swoop, Free Fall Extreme and more which are rare and one of its kind. Float Plane Ride (8-10 minutes flying time) Experience the romance of landing and taking off in a floatplane with panoramic views of Lake Rotorua from above. In the Evening Enjoy Polynesian Spa – Enjoy the Adult Pools & Priest Spa. Enjoy Picnic Lunch, later continue our journey towards Auckland. Upon arrival, check into Hotel Grand Millennium or similar. Rest of the evening is free for leisure. After breakfast at hotel, proceed for Lake Pukaki – view of Mt cook and Lake Tekapo. Enjoy Picnic Lunch. Proceed towards Christchurch – the largest city of New Zealand in South island affected by 2011 earthquake. Also know the as the Garden City. Later on arrival proceed to Hotel Rendezvous/Novotel or similar for check in. After breakfast at hotel, proceed for Mrs Jones Fruit Stall for some fruit / jam shopping. Enjoy Picnic Lunch. Also Enjoy Helicopter Ride (weather permitting) on this day. Later on arrival in Twizel proceed to Hotel McKenzie / Omarama Heritage for check in. After breakfast at hotel rest of the day is free for families to shop and for teenagers to enjoy all other optional activities. Enjoy picnic lunch and the beauty of Queenstown. After breakfast at hotel, proceed for Lake Wanaka it is New Zealand’s fourth largest lake, and estimated to be more than 300 m deep. Enjoy Picnic Lunch. Later return to Queenstown. Enjoy Beautiful Skyline Gondola to have a beautiful view from the Bob’s Peak and Orientation City Tourof Queenstown, Arrow Town, View of Bungee Jumping. After breakfast at hotel, proceed for Milford sound for the scenic cruise. Start an early journey across the Southern Alps and travel deep into the Homer Tunnel, a 1.2km tunnel drilled through solid rock. Uncover Eglinton Valley, a place of ancient alpine forest and gushing waterfalls, take photos of the stunning Mirror Lakes, then walk across The Chasm. At the deep waters of Milford Sound, board your 1 3/4 hour Scenic Cruise. 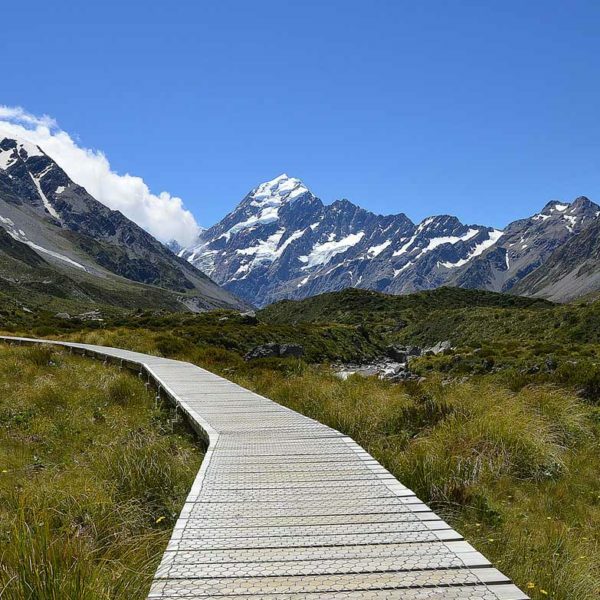 See the wonders of Mitre Peak, glacier-scarred rock walls and waterfalls. Lunch on cruise. Enjoy Indian dinner cooked by chef and Spend overnight at the Hotel. After breakfast at hotel, proceed to board your flight for Queenstown. Enjoy Indian dinner cooked by chef and Spend overnight at the Hotel Novotel Lakeside or similar. After having morning breakfast we proceed for Orientation City tour of Christchurch which includes visit to Cashmere Hills, Mona Vale Gardens, Hagley Park, Re:Start Mall, Visit The International Antarctic Centre where you get a chance to witness a Storm Room which goes to -20 Degrees. Enjoy optional 4D show and Hagglund Ride. Post Lunch rest of the afternoon is free for shopping at the Westfield Mall and for leisure. Enjoy Free Tram Ride outside the hotel or an optional Punting on the Avon. Return back with Sweet Memories of your trip with your friends and family. We are CERTIFIED KIWI GOLD SPECIALIST by the New Zealand Tourism Board. We are also CERTIFIED AUSSIE SPECIALIST by the Australia Tourism Board. Accommodation at quality 4 to 4½ Star hotels at all places and Centrally Located. Daily breakfast served by hotel along with hot Indian breakfast and lunch prepared & served by our Rajasthani Maharaj from India. Dinners to be cooked and served in Hotel and Indian restaurants. Tips to Driver, Tour Manager and Chef included hence no hidden charges. 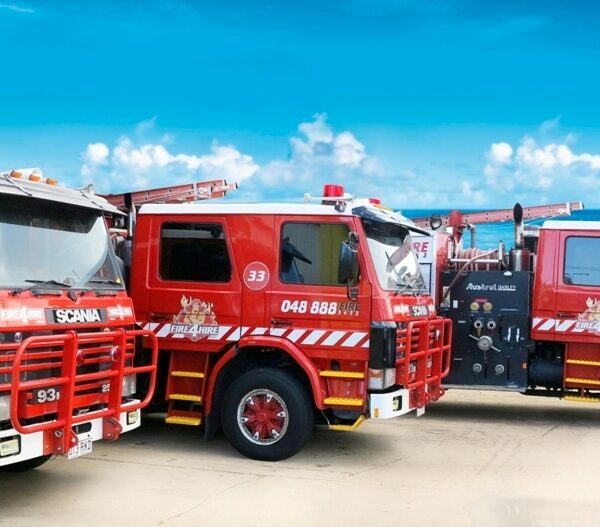 Fire Truck Fire 4 Hire experience in Gold Coast. Porterage in all Hotels included in tour cost hence no extra costs. Skyline Gondola, Jet Boat Ride and Helicopter Ride with Snow Landing is included in the tour cost. Polynesian Spa and Float Plane Ride in Rotorua is included. PER PERSON Travel Hamper with Passport Cover, Passport Pouch, Luggage Tag, Complimentary Bag pack and Snack Packets along with Tea / Coffee throughout the tour.